Happy Saturday, it's time to share your critters and post. Any kind of critter will do, even a new or old post.. I appreciate everyone who is linking in with this week's critter party. If you are in the area Space Coast Birding festival Jan 25th - 30th. The festival sounds like a great time. Check out the link for all the activities planned. I have enjoyed visiting the area including Cape Canaveral National Seashore, Merritt Island NWR, Cocoa Beach and Titusville. 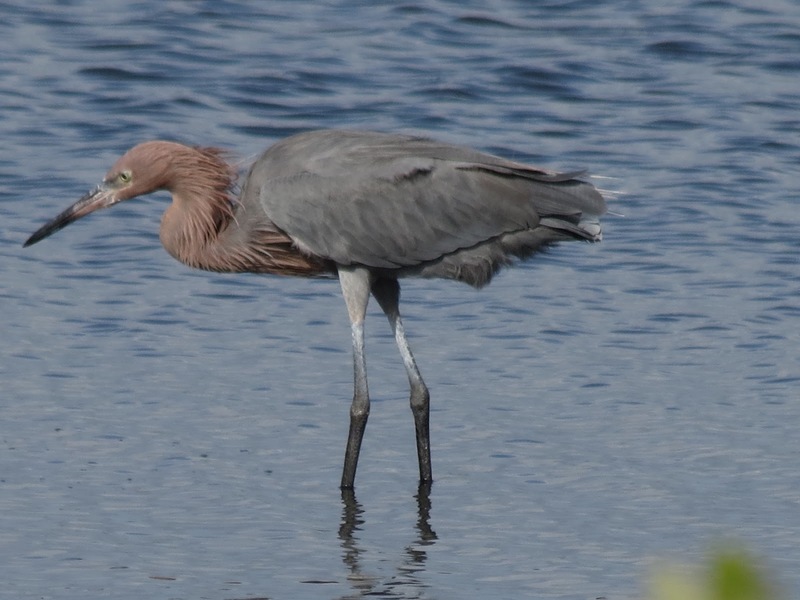 More from Merritt Island, the birding at the wildlife refuge is great. I am sure we will be visiting here as often as we can. These images are straight out the camera only resized for my blog. I was pleased with my zoomed images of the Bald Eagle, it was perched on an electric pole with a fish. Reddish Egret, maybe Caspian terns and possibly Dowitchers? Green Heron, can you find a spiders web? A blurry look at a Manatee nose and part of it's face. Starting next Saturday I am using a new Mr. Linky tool. The previous linky tool changed their price. I hope all goes well with this new linky, Saturday's Critters will run from Saturday to Saturday. Sorry, your thumbnail will not show unless I decide to upgrade my membership. If you have problems linking please enter your URL in the comment section and I will try to fix the problem. Thanks for participating with my Saturday's Critters. As always thanks for the visits and the nice comments. I also thank everyone who is linking up and sharing their critters.. Happy Saturday, have a great weekend! To see more beautiful birds and cute critters, check out these two memes below. Also visit: I'd-Rather-B-Birdin. Thanks to the gracious host: Anni. Also check out Camera Critters. Thanks to Misty for hosting this fun meme. those are superb shots of the Bad Eagle and also the Heron adn it was lovely seeing the different birds and their different sizes in the th shot. Thanks for hosting and have a wonderufl weekend. Such wonderfully intense photos. Thank you for sharing your talent. Wow, those are stunning, and so many species.Down here, the birds are nesting, and we have a " Mrs Thrush" so called as she visits this time every year, puts as much food into her beak as she can cram, and flies off to the babies. A delight to see her several times a day, I need to try and have a photo for next week's post. Your photos of birds are gorgeous !! 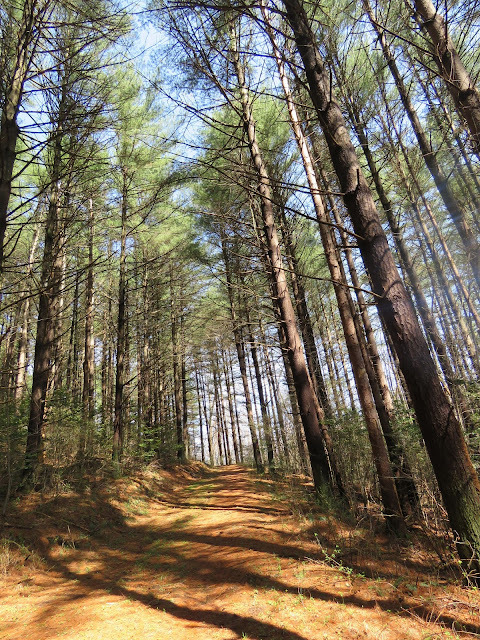 Thank you for another so inspiring post, darling Eileen ! Great photos, the eagle is wonderful. Fabulous eagle shots and a great collection of critters. Really beautiful photos! The Bald Eagle eating the fish is superb! Fantastically beautiful photos of the Bald Eagle! I really love the Bald Eagle, fantastic Eileen. 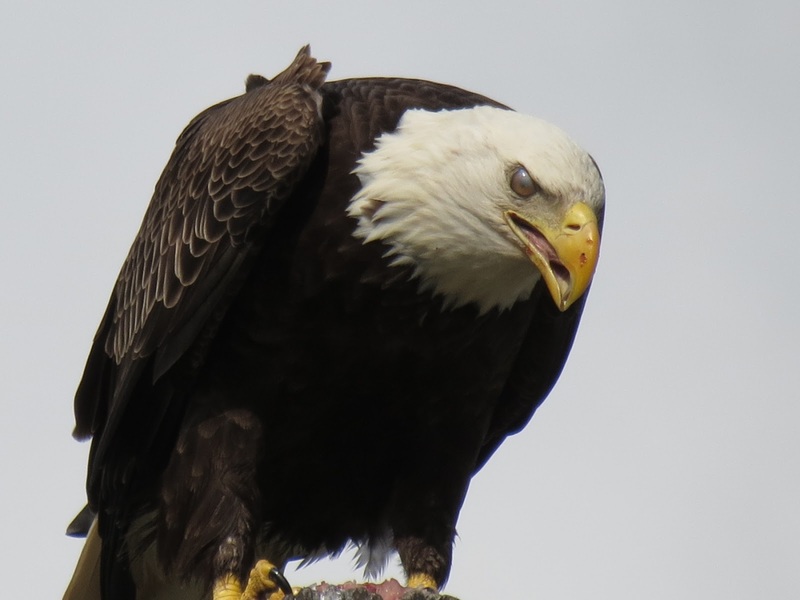 Thanks so much for hosting Eileen and sharing these amazing photos, especially the Bald eagle! What awesome presence it has! Cute to see the manatee surfacing too! Great shots of the Bald Eagle. Love to see the eagle close up. Have a beautiful weekend! I'd LOVE to see a manatee! Those are knockout gorgeous portraits of the Bald Eagle! All of the images are beautiful. Thanks for hosting! Full marks for escaping the cold Eileen. I am so jealous. Wonderful pictures of the Bald Eagle - almost too close. Enjoy your vacation and thanks for allowing me to join in today. Hi Eileen, I can't get past the Eagle! Thanks for sharing. Wow. The eagle is amazing!!! Oh my goodness the bald eagle shots are just amazing!! Love the eagle. But the egret looks like he's walking on water. Lol. What a great place. i did not know you had to pay for that service. your eagle captures are nothing short of brilliant. florida has proved itself to be the place for birders!! many thanks for hosting, have a wonderful weekend!! LOVE the eagle shots! Lucky you to see them! amazing eagle and love the manatee nose. Great pics about birds, I'm surprised, fine!!! Thrilling eagle! You are getting so good, Eileen! Wow! Great photos of the bald eagle! Great pictures . . .
Blue Ribbons for those Bald Eagle close ups! Eileen, majestic Bald Eagle. Thanks for sharing. Eileen...wow! Your eagle is fascinating! He really did strike a pose for you. 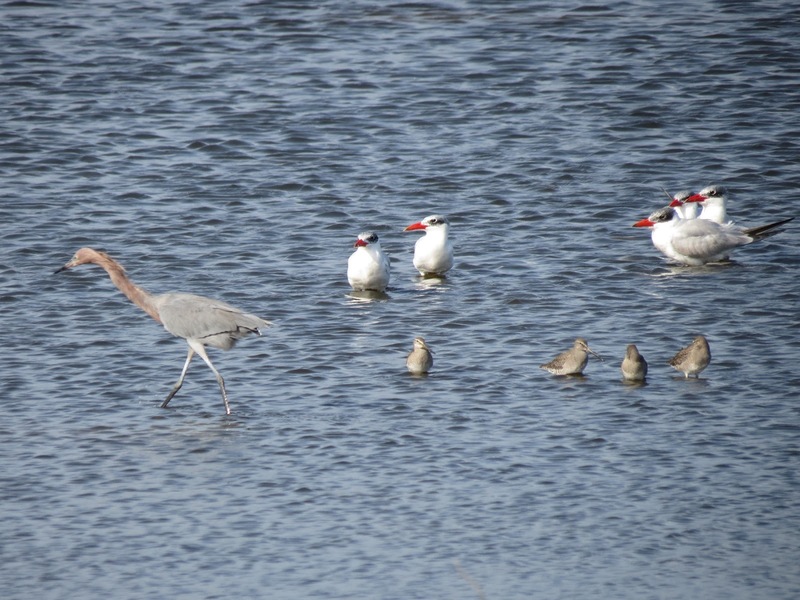 This refuge truly provides great species of birds and other critters. I did see the spider's web with the green Heron. One day, I will have to find such a place in Texas to visit. Have a wonderful Saturday and weekend. Amazing Bald Eagle shots ~ Wow! What a gift! What a critter party, Eileen! Gorgeous captures of everything, and the Bald Eagle is dynamite! :) I hope you have a great weekend. REALLY amazing shots of this beautiful eagle. We saw one the other day by our cabin, but when he saw me looking at him, flew right off.. Thank you so much for hosting Saturdays Critters. Fantastic first shot and all that follow. The SX40 never ceases to amaze. Happy Day. I always enjoy your critters! I have had a cold and haven't been out to take any pics this week. Enjoy your weekend and thank you for hosting. Hello once more Eileen, great shots! The Eagle is so imposing - such a closeup is wonderful. Loved the sighting of the Manatee - such endearing creatures. Hi Eileen, Enjoyed all the pictures! Wow, the eagle shots are just awesome ... congrats on those! Thanks for hosting and sharing. Have a happy weekend! Oh WOW that eagle is magnificent. Oh my gosh! Incredible Eagle pictures! Love the bald eagle, Eileen! Thanks for hosting us! Those are amazing shots of the eagle! Fantastic, Eileen. I got busy this morning and forgot to link up until just now. I do understand about the linky thing. I hope are having a good weekend. Wow, great shots of the Bald Eagle. I liked your other photo's too - and yes that spiders web was quite well hidden! Your photos are exceptional. The eagle is really good. 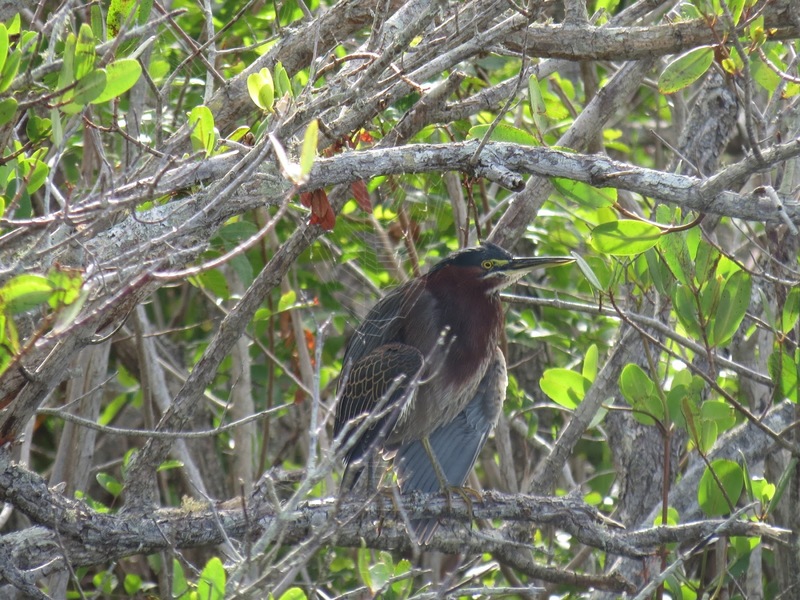 The green heron is very colorful; I am wondering now if what terrorized my gold fish last spring was really a green because it wasn't as colorful as the one you photographed. Wonderful photos, Eileen. Florida looks like a birders paradise, Eileen. The close ups you got of the eagle are amazing! What a large beak he has! Hope you had a wonderful Thanksgiving! Beautiful pics. Eagle pics Awesome. Wow, I love the eagle pictures! Spectacular! My goodness....it was so very difficult to go beyond the two eagle portraits!!! Stunning. I appreciate your participation this week at I'd Rather B Birdin'. Thanks for stopping by for a visit and linking!! i am huge fan of your sense of capturing dear. loved the eagle with move and quite scary eyes. i found forth photo most magical . I would love to see a Manatee. Even a blurry one. Personally i don't think yours is all that blurry. Love the Bald eagle shots too. Beautiful images of Bald eagle. Wow! Great shots, Eileen! Must be a lovely nature reserve. Hello Eileen! Such a great view of the bald eagle seen from so close! and indeed I can see the web... lots of amazing aspects; I never seen a manatee; only in documentaries! Many thanks for sharing all these with us! A good Sunday and a lovely new week ahead! Such beautiful birding in your area! Those eagle shots - wow!! Boa tarde, suas fotos são grandes captações as aves, elas são perfeitas num todo. Good morning Eileen, I'm in a day late but I'm here. Lovely critter photos and always stunning nature shots, are a blessing to see! Enjoy the rest of your weekend! Stunning shots of the eagle! 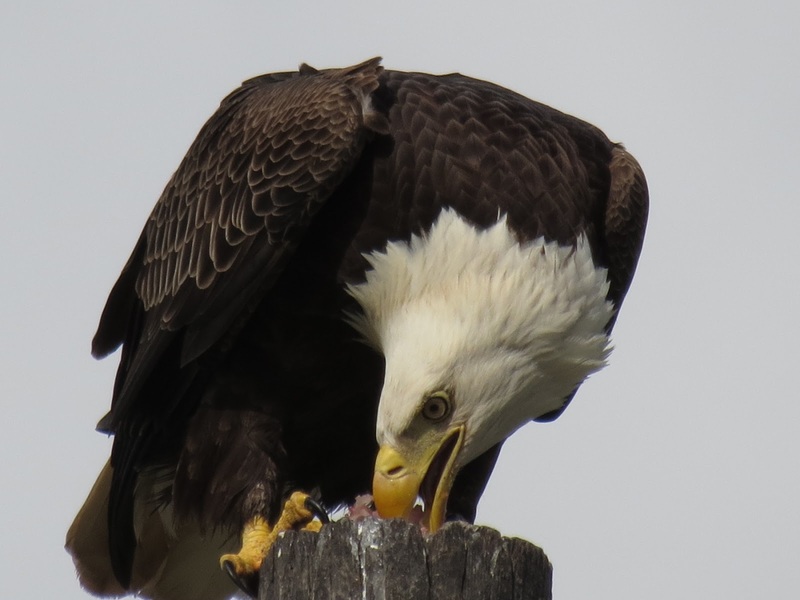 Love your shots, especially the bald eagle, Eileen. Great captures Eileen. Wishing you a wonderful week ahead. Beautiful pictures, wonderful Florida birds! Soon for us! Thanks for the birding festival heads up... we must get be able to do that! Oh Eileen, your photos of the Eagle are among your best, truly amazing!!! And what a fun sighting of a manatee too!! I do hope you're doing well, and had a great Thanksgiving! Your Bald Eagle shots are just incredible! Have a beautiful week! stunning photos of the Bald Eagle ! and all the other birds too. I think that's Marionette the Manatee. Yes, you can be proud of you Fish eagle pictures, they are gorgeous.... the way to make me jealous! LOL!! But I am amazed at the Manatee, you were quick to "catch' it! Wow - fabulous shots! Love the first two. Wonderful shots. Love the eagle... Have a great week..
Lovely photos . Catching up here lol . I love your header to ! Thanks for sharing , Have a good week ! Nice eagle shots. When I zoomed I could see the web. Wonderful photos, especially of the eagle! The Bald Eagle is AMAZING. amazing photos of the bald eagle! Fantastic photos! You REALLY caught the spirit of bald eagles in those first two photos. In a word, they look (and are) Deadly! The first photo is absolutely powerful! Amazing!! !